since its birth for the sole purpose, “reproducing music truthfully”. The sound is totally different with the profit-come-first vendor products. This because of their priority differences even though both called simply an amp. If you want to listen to music with DC Amplifier, you have to make it yourself. and Circuit-board production will be the most difficult parts. The case production is relatively easier than the board making. You can find the processing error soon and modify it unless it is a fatal one. a sort of sense and patience to locate defective point from the completely inoperative board. assemble your DC Amplifier by only connecting external wires correctly. it is easy to detect. You will find it for sure by only checking each connection carefully. For the painstaking board fabrication, Masami Hagio is the ideal person to help you. Mr. Hagio is an extraordinary engineer who familiar with both software and hardware technology. 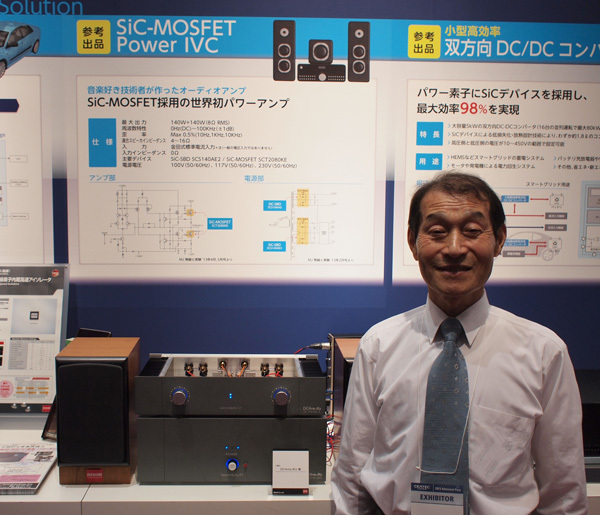 Most importantly, he, himself, is a devoted music fan, audiophile, and longtime DC Amplifier advocate. an opportunity listening music with DC Amplifier as much as possible. he creates his unique board which works surely, is easy to make and has good sounds. He employs microcomputer control technology to his creation. By applying it, DAI of the D/A converter is controlled with the software mode. And it also enables detailed condition settings and enables to add convenient functions. Overall, he broadens usability and application range by it. If you have machine tools such as drill press, you can make a fine amplifier case without an effort. However, it is difficult to prepare such tools in general. In that case, please contact Mr. Kiyoshi Nakae, president of the Misima BF Corp. Although his actual business focuses on metal coating, Mr. Nakae is a devoted jazz hound and audio nut. 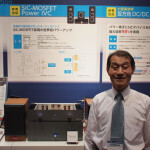 And he is one of the important staffs who support our DC Amplifier preview meeting. I am sure he will help you by providing fine and beautiful case processing service promptly. For the details, please visit his website. It is beneficial to start making DC Amplifier as early as possible. This because you can enjoy music life longer. because Mr. Hagio supports you. The rest is only up to your decision. PROFESSOR KANETA/KANEDA, WHICH IS CORRECT? 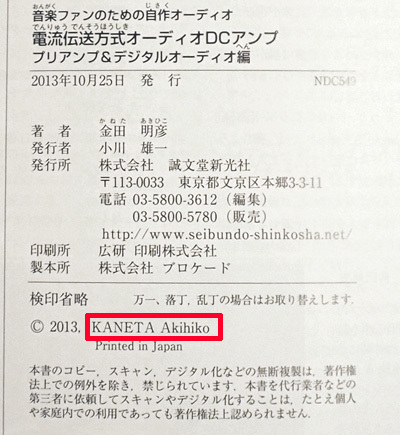 We normally call Professor “Kaneta”(金田　先生) as Professor “Kaneda”. which pronounciation (Kaneta/Kaneda) is correct. So, we would like to inform you his correct name first. THE CORRECT/OFFICIAL PRONOUNCIATION IS KANETA. In official places, public places, people call him as “Kaneta”. His name wrote as “Kaneta” in this picture. Also, his signature on DCAmp.Biz is “Kaneta”. So, in official writings, people call him as “Kaneta”. In Japan we use Kanji for writing our name. His familiy name in Kanji is “金田”. And we can read this in two ways, Kaneta and Kaneda. This is the reason why he is sometime called as Kaneda. However, again, his official name is Kaneta. Only in friendly places, we call him as Kaneda in a friendly manner.